Anime Night is a FREE, invitation only event hosted by Megamoth Studio every other Friday at our classroom in Rohnert Park. 7-8PM Monthly Girls' Nozaki-kun Wikipedia Episode 10: "What's Strengthened Is Our Bond and Our Reins" Episode 11: "Let's Rice"
8-9PM The Twelve Kingdoms Wikipedia Episode 19: "Sea of Wind – Shore of the Labyrinth – The Fifth Chapter" Episode 20: "Sea of Wind – Shore of the Labyrinth – The Sixth Chapter"
9-10PPM Rurouni Kenshin Wikipedia Episode 44: "A Decisive Battle Like Violent Waters: The Strongest Troop Juppongatana" Episode 45: "As if to Fly: Stop the Launch of the Battleship Purgatory!" Every other Friday, students are invited to attend our Anime Nights, which feature a variety of entertaining and inspiring programming. Located on our Art Center campus in Rohnert Park, we provide a fun and safe viewing space in our classroom. We at Megamoth Studio provide a few snacks and refreshments for the “theater” experience. General theater etiquette applies during the showings: no talking, no lights, and no cell phones (though people are welcome to step outside). Students are welcome to bring a friend or two, even family! Just please let the teachers know ahead of time if you are bringing more than 3 people, so we can make sure that we have sitting room. We also welcome guests to bring snacks to share! At Anime Night, the shows we watch are always animated, but not always anime. Every hour we watch two episodes of a particular show, three shows total. We always watch shows in their original language, so be prepared for subtitles! To be inclusive, we limit our programming to PG-13 content rating and below. The shows selected for Anime Night fall into three categories. Our first show, from 7-8, is a “popular” show, which is usually a show that a lot of people have heard of or recommend. From 8-9, we have an “esoteric” show, which is something more off-the-wall and less well-known. From 9-10 we feature our “classic” show, which is mostly series that date from before the year 2000. Have an idea for a show we should feature at Anime Night? Contact us! 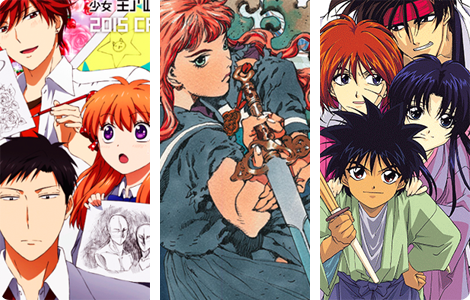 For a list of series previously shown at Anime Night, check out this list of past programming! Check out our reviews!